Liverpool boss Jurgen Klopp is disappointed Wales manager Chris Coleman didn’t phone him regarding his decision to call up Ben Woodburn to the national squad. Our youngest ever goalscorer was selected for the Wales squad for their upcoming fixtures, and he’ll potentially play alongside one of the world’s best players in Gareth Bale if he’s given a debut. Klopp though would have appreciated a courtesy call regarding Coleman’s decision, especially considering Woodburn is not long 17. 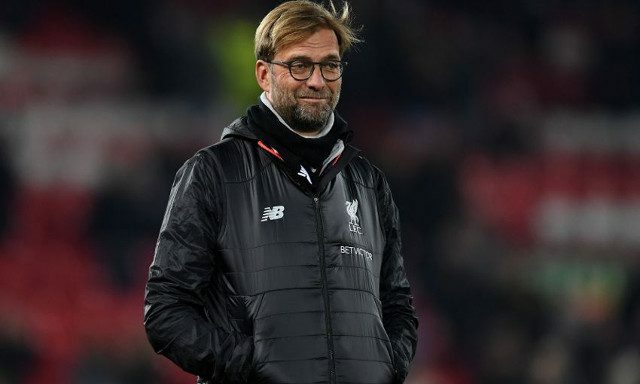 “Actually, I was surprised about this,” Klopp told the Echo. “I don’t know exactly how it’s normal here. This should not be a criticism, but usually when you call up a player, a 17-year-old player, I thought it would be possible to call me. “If he stopped learning now, that would make no sense at 17,” Klopp added. “I’m not in doubt about this. We didn’t hide him. We used him all the time. He’s a fixed part of our training. He can deal with the nomination for Wales 100%. “It’s a little bit like my situation. As long as you give me the time, as long as we give him the time, everything will be good. As well as Woodburn, Wales have selected his Liverpool Under-23 team-mate Harry Wilson – who was actually given a debut in 2013 for the national team. He hasn’t featured since, but has registered over 20 goals and assists apiece while skippering our Under-23s this season and his performances clearly haven’t gone unnoticed. We wish them both very well.